In 11 patients with duodenal tumors and gastric hypersecretion, excision of the tumor controlled the ulcerogenic syndrome in seven of eight patients and intractable diarrhea in two of three. 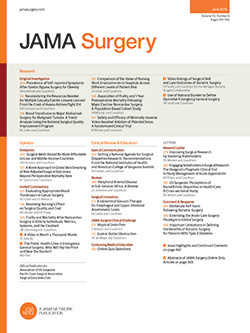 Total gastrectomy was required to control gastric hypersecretion in one patient with diarrhea. There was one postoperative death. Only one patient was found to have associated dysfunction in another endocrine system and that was limited to the parathyroid glands. Five of 11 tumors were malignant, as evidenced by involvement of regional lymph nodes. Follow-up reveals that the excellent initial results have been sustained from 2 to 11 years.